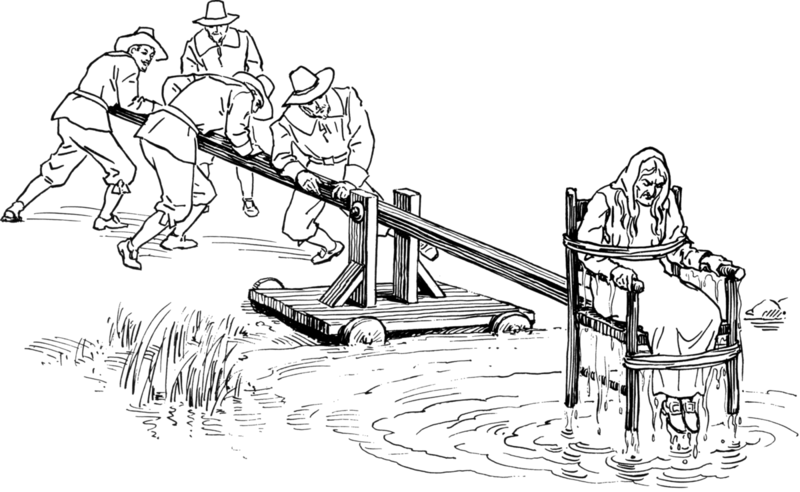 The unnamed career FBI agent could lose their job for allegedly gaming the widely discredited, unscientific polygraph tests that are the US government's equivalent to witch-ducking stools. 6. In a general sense, no physiological lie response has ever been identified within the human body. Furthermore, I believe probable-lie control question test (PL-CQT) polygraphy, a group of polygraph exam formats widely known by the general public as the so-called “lie detector” test and which are commonly used in FBI polygraph examinations, have little to no value as a diagnostic instrument for determining truth and falsehood. I believe this to be the case for a variety of reasons, one overriding one to be subsequently discussed. Previous surveys of the members of the Society for Psychophysiological Research and the Fellows of the American Psychological Association’s Division I (General Psychology) would indicate that my previously-stated general opinion regarding CQT polygraph testing is shared by a large majority of scientists with relevant scientific backgrounds. If, on average, the polygraph examinee is found to have greater responses to relevant questions, he is found to be deceptive, and is found to be non-deceptive, if again, on average, the responses are greater for control questions. These consequences could include (in a criminal matter) further investigation, prosecution, conviction, imprisonment, loss of family, friends, money, reputation, etc. In an administrative and/or screening setting, an inquiry subsequent to a false positive polygraph result might include loss or denial of employment, loss of income, reputation, and general embarrassment amongst many possible consequences and outcomes. Again this has absolutely nothing to do with lying, but with an innocent examinee being concerned about the consequences of being branded a liar; these consequences are those aforementioned and which are clearly associated with the relevant question issues and not the “stealing while in high school” type of control/comparison questions. This is perfectly consistent with the autonomic nervous system (ANS) physiology being measured by a polygraph examiner and a variable that cannot be reasonably controlled for by that examiner. Peer-reviewed research published in the scientific literature has suggested that the false positive rate (falsely accusing an innocent examinee of being deceptive) could be as high as approximately 50 percent (random chance determination). Last week, Citizen Lab and the AP published a blockbuster story revealing that Citizen Lab had been targeted by undercover operatives who pumped Lab employees for information on the group's work uncovering illegal surveillance operations undertaken by authoritarian governments using tools made by the notorious Israeli cyber-arms dealer NSO Group.